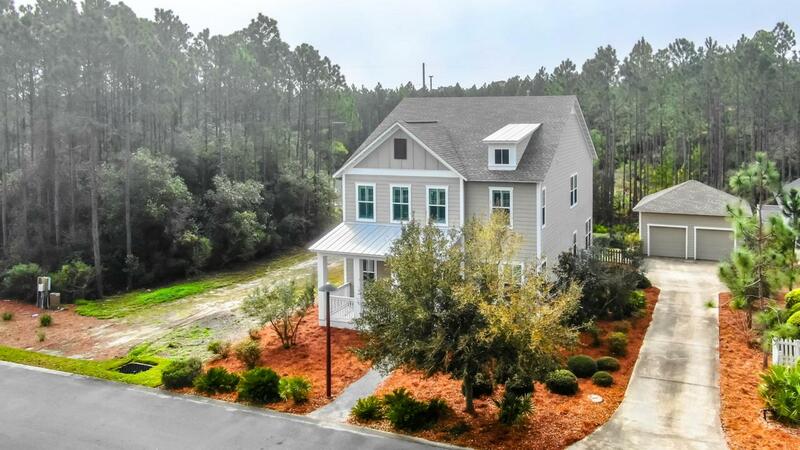 BEAUTIFUL 4 BED/3 BATH HOME IN HIGHLY DESIREABLE WATERSOUND ORIGINS! PRICED TO SELL!! 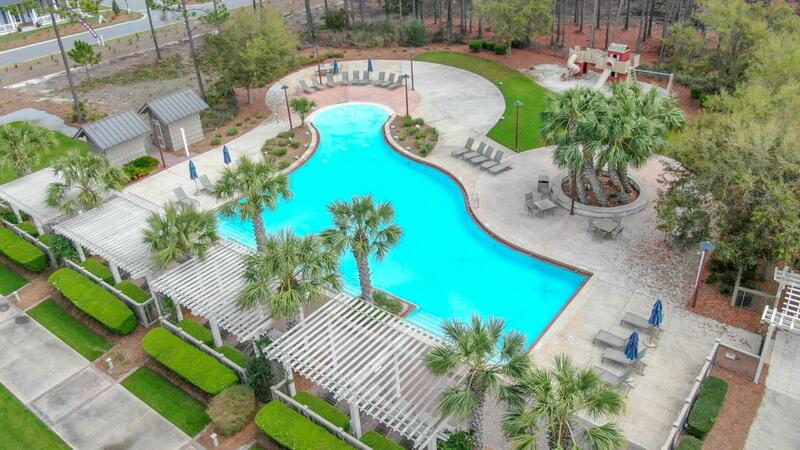 SWIM, BIKE, GOLF, KAYAK, FISH, GATHER, and EXPLORE- just several words to describe what awaits when you make the community of Watersound Origins your home. Origins is a coastal community in Walton County, FL, adjacent to the world-renowned Highway 30A and the turquoise waters of the Emerald Coast. 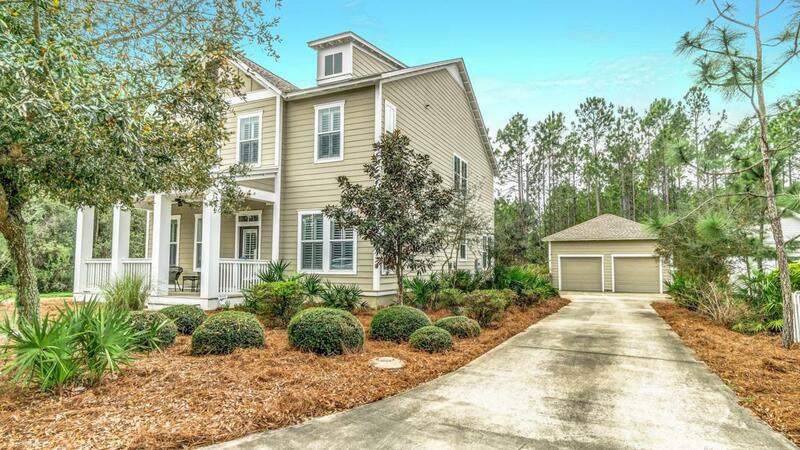 This family-oriented planned community is THE place to be if you desire the convenience of 30A and Santa Rosa Beach but with the peacefulness of a suburban village. This neighborhood boasts OUTSTANDING AMENITIES- 2 pools, golf course, fitness center, caf� and clubhouse, playground, numerous lakes and park-like greenspaces, and tennis courts (coming soon). Walk or jog the trails and make your way down thepath to the private dock of beautiful Lake Powell, one of the largest coastal dune lakes in Florida. Drop in a kayak and you can be paddling out to Camp Helen Sate Park and into the Gulf of Mexico in minutes! LOCATION, LOCATION!! Watersound Origins offers a sense of community- neighbors come together here, it is host to several music festivals and events-family fun for both locals and visitors. Fabulous boutiques and restaurants are just minutes away at 30Avenue in Inlet Beach. Hop across Hwy 98 and you can enjoy all that 30A has to offer- dining, shopping, an 18-mile paved bike trail, Rosemary 2 miles to the southeast and of course the sugary, white sandy beaches. You'll have your toes in the water in no time! This home is convenient to all the amenities that Origins has to offer but is unique in that there are no other homes on the east side which makes this particular lot feel extremely PRIVATE. The front porch of the home faces a wide green space, perfect for watching the kids play a game of ball. On the first floor, there is a large dining room that could also be used as a separate living area or office space. There is one bedroom and one full bathroom as well. This floor boasts an expansive OPEN CONCEPT kitchen, dining, and living area with 14' ceilings. The home is open and inviting-perfect for letting in that warm Florida sunshine and for entertaining. There is an electric FIREPLACE in the living area which contributes to a cozy feel on those cool, but rare, Florida nights. Light coastal cabinets in the kitchen, granite countertops, and hardwood grace the main floor. There are stainless appliances in the kitchen with the refrigerator, dishwasher, and disposal having been recently upgraded. PLANTATION SHUTTERS throughout the entire house! The BACK PORCH, just off the kitchen, could be potentially screened-in. It faces one of the community's small lakes and overlooks the large fenced-in back yard. The privacy of this home's location makes this one of the most peaceful areas to relax and unwind after a busy day of golf or out on the water! On the second floor, there is an open area that could be the perfect spot for an office, media room, playroom or as a cozy reading nook. The Master bedroom offers a large bathroom with double vanities, a jetted garden tub, and a HUGE walk-in closet. The laundry room, 2 additional bedrooms, and another full bathroom are on this floor as well. Outside there is a large DETACHED 2-CAR GARAGE providing plenty of extra storage. Converting or adding on to this space for a guest home is also a possibility!! The neighborhood of Watersound Origins is a retreat at the beach. Lush landscaping, a stunning, resort-like community pool (with another on the way), fitness opportunities, trails, multiple lakes, plenty of play spaces for children, and close to top rated schools and entertainment makes this the perfect place for your family to call home. 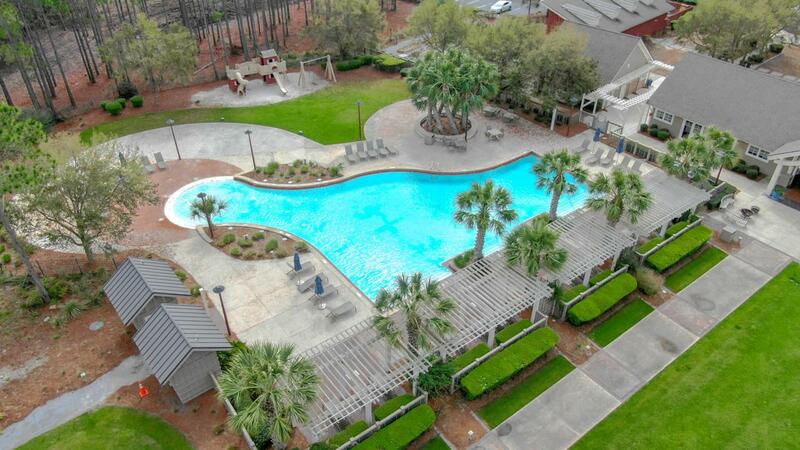 387 Medley Street is the place to be if you're wanting to make the coastal lifestyle your permanent residence or as your vacation getaway from everyday stress!